Christopher Corvino began his career in classrooms for students with Autism and related educational needs. While attending Rutgers University he worked in various capacities at the Douglass Developmental Disabilities Center both in the classroom and as a parent trainer; ultimately coordinating parent education and creating and implementing personal education programs for learners of all ages. Between 2008 and 2015 Chris was the Associate Executive Director for The Arc of Somerset County overseeing the programmatic operations for Early Intervention, Children and Family Services, Residential, Employment, Camp, Respite and Clinical departments. In 2015 Chris assumed the role of Curriculum Coordinator for The Achievement Center at Raritan Valley College developing a college transition program for aspiring students with intellectual disabilities to meet the growing and diverse interests of young adults of all abilities. Since its origination, the program has grown to welcome a second freshman class and a social skills group in partnership with CentraState Healthcare System. 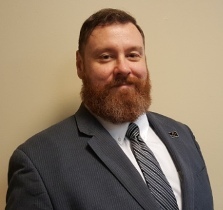 Chris resumed the role of Associate Executive Director in September of 2017 to continue his strategic work in advancing services for and with consumers, students and community members.